Australian security software vendor, Veriluma (ASX:VRI), has appointed new administrators after the company's annual general meeting (AGM) was cut short in late November. Veriluma entered into voluntary administration on 15 November, appointing Jamieson Louttit as the administrator at the time. The voluntary administration was, according to Veriluma, a decision that the board believed to be the best route to preserve shareholder value. Sule Arnautovic and Amanda Young of Jirsh Sutherland were appointed as joint administrators on 15 December, following Jamieson Louttit's retirement from the administration. An AGM scheduled for 28 November was postponed after only two minutes, as reported by The Sydney Morning Herald (SMH). In documents filed with the Australian Securities Exchange (ASX), former administrator, Louttit, said that no resolutions had been proposed, however shareholders claimed there was not an opportunity to propose any. “Shareholders were clearly upset by the fact that the resolutions that were proposed didn’t get considered or allowed to be voted on, so that made them angrier still,” Veriluma CEO, Elizabeth Whitelock, told ARN. ARN understands that shareholders were going to vote against the re-election of two of the company’s directors. According to the SHM report, shareholders have grown suspicious of the way the company was placed under voluntary administration. In fact, shareholders are concerned about the relationship between both current and past non-executive directors with the company. Whitelock said she wasn’t sure if the AGM was run or not as it opened and closed so fast. Shareholders were unhappy over Louttit's previous dealings with a related entity to Veriluma. A shareholder with the company told ARN that it is satisfied about having a new administrator and confident they will work on the best interest of shareholders. "In the AGM, shareholders expressed their concerns about potential conflict of interest, hence we are happy that he [the administrator] has now removed himself," the shareholder said. Former administrator, Louttit, told shareholders on 13 December that the company’s cash balance had been reduced to $200,000 by 15 November, with liabilities of $700,000. Regarding the proposed acquisition of Concept Safety Systems (CSS), Louttit said that Veriluma’s management made several financial and other representations as part of the possible acquisition and due diligence process. According to the SMH investigations, Rick Anstey, Veriluma’s chariman, ceased to be a non-executive director with CSS 11 days before the acquisition was proposed. Anstey is also an independent director with Brisbane software company, TechnologyOne. The acquisition has been placed on hold as due diligence showed Veriluma’s financial position and continuous cash outflow. Louttit also said that the company’s situation was explained to shareholders after the interrupted AGM of 28 November. He said he was seeking expressions of interest to acquire the company. He warned shareholders that they “should be aware that any proposal is likely to result in significant dilution, and possible loss, of their capital”. Whitelock, however, told ARN that there are shareholders who are positive about the company and its technology and those shareholders are determined to back the company up and get it out of where it is now. "We are looking forward to the future now. 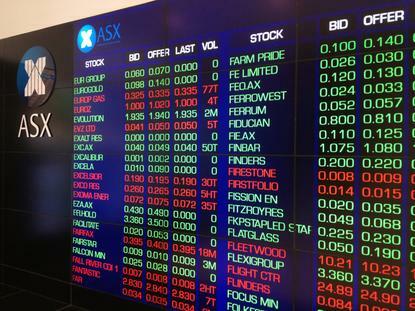 We are hoping that a proposal we put to the company will help to get it back up and listed and get the technology up and out to some customers and the shareholders will get their money back and the company can progress," the shareholder told ARN. According to the recently appointed administrators, Veriluma’s directors, Richard Charles Anstey and Laurence Stuart Hammond, have given notice of their resignation effective immediately. The administrators requested urgent interim funding, asking shareholders to help in order for the company to continue trading, retaining the value in the business. All Queensland staff (three) have been dismissed and minimal staff was retained in NSW, ACT and SA. Article updated at 2:22 PM on 19 December 2017 to include information from the administrators.